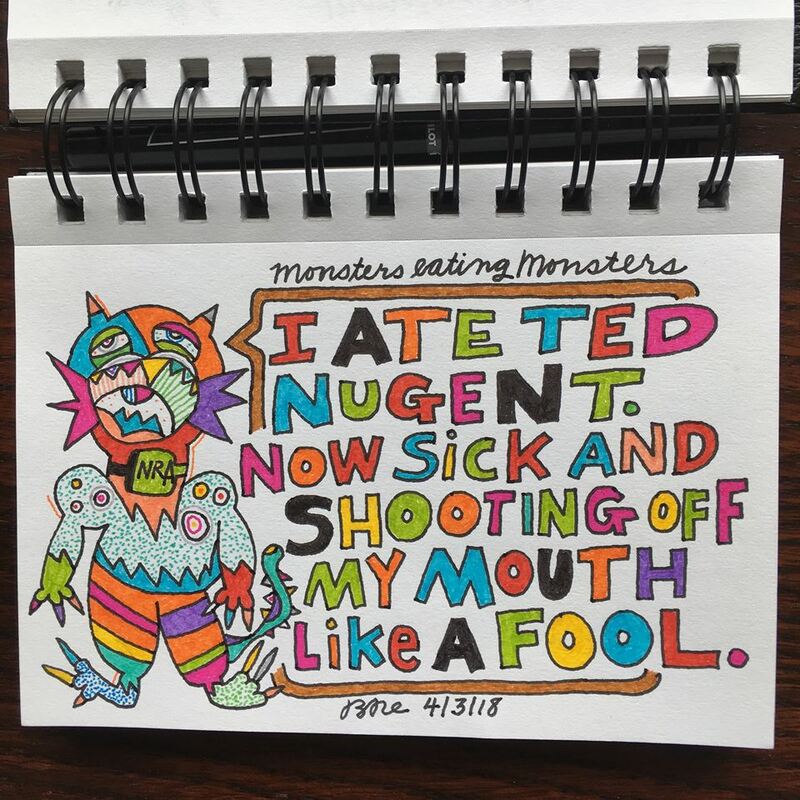 I ate Ted Nugent. Now sick and shooting off my mouth like a fool. "... the longtime rocker and NRA board of directors member slammed what he calls "the poor, mushy brained children," who organized the March for Our Lives on March 24, which advocated for tighter gun control. ..."
It is time again to be an artist/activist... 'Monsters eating Monsters' is the follow up to my first series of political cartoons, 'Bird Brains elect first President', which has 71 cartoons with source references and can be viewed here. For more about my art, life and career visit my website here. 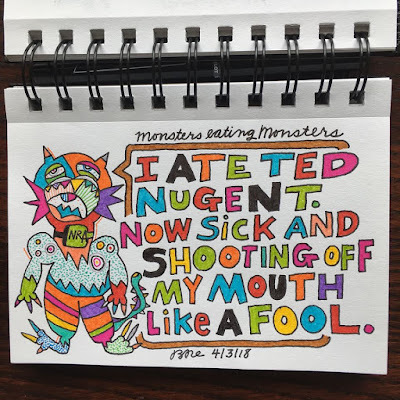 Do these Monsters make you sick too? (c) Bernard Re, Jr. Monsters eating Monsters 2018. Picture Window theme. Powered by Blogger.